This past week, we had the pleasure of traveling out to California to shoot an event for one of our automotive clients – and with the blue skies and relatively mild, dry temperatures to boot, it was an awesome week! 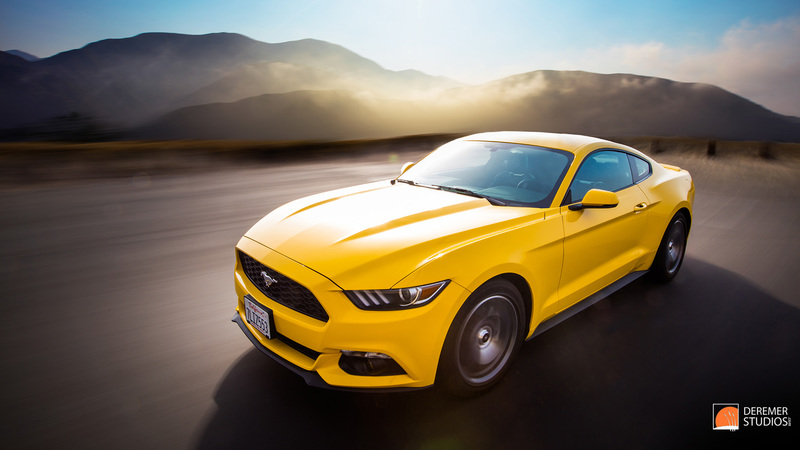 Adding to the excitement, the fine folks at Avis offered me a free upgrade to the 2015 EcoBoost Mustang you see above – a perfect driving companion for the circuitous mountain roads I would find myself exploring over the coming week. So, with a fun car in a great color, needless to say I found myself photographing the vehicle quite a bit, including experimenting with a few boom shots (above) and some time exposures (below). All in all, I was pleasantly surprised by the combination of performance and economy that this car offered – providing me with 33+ MPG on the highway and plenty of get-up-and-go. Even with a healthy amount of fun with the throttle and lots of carving in the mountains, the car returned a rather astonishing 27.1 MPG average over about 800 miles of driving – which is good when you consider California hasn’t yet gotten the memo that gas prices in the rest of the country are nearly half of what you pay there. Also noticeably improved over previous versions of the Mustang was the rear independent suspension. Gone are the days of the live axle, and with the improvement, the car tucks into even the sharpest corners with much improved confidence and precision, all-be-it with a little less drama. 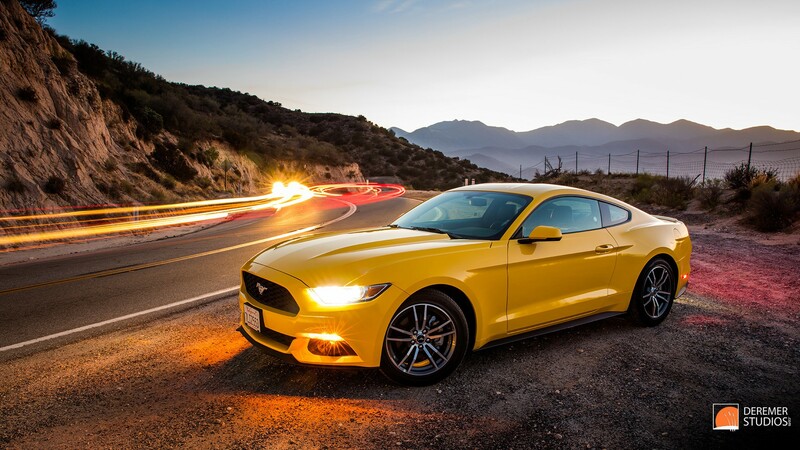 As with previous Mustangs, the interior was comfortable and intuitive – offering everything you need for an extended road trip. Both technology and luxuries in this specific trim were turned up to 11, with Ford’s latest version of Sync displayed on a generously sized touch screen and a surprising list of features you wouldn’t expect to find on a pony car, including heated and vented seats. So, given the choice between this and the GT, which would I pick you ask? I’m afraid my desire for power does still outweigh my need for economy, but where the gap between the two was a mile wide prior to this experience, the combination of a lesser impact on my wallet (both purchase price and fuel consumption) as well as the surprising amount of fun the EcoBoost Mustang provides, brought the gap down, to say, maybe 100 yards. 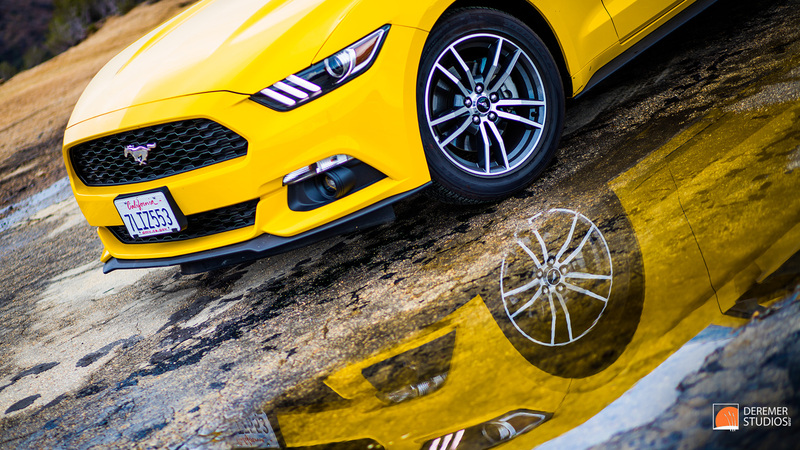 This entry was posted in Automotive Photography and tagged automotive, Avis, boom, california, cars, Deremer Studios, Drive, ford, Jacksonville, mustang, Photography, Review, wallpaper.